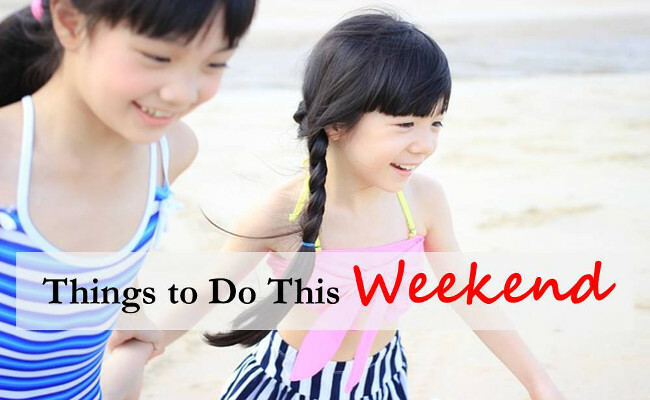 Held in conjunction with Car-Free Sunday, this means families can enjoy running and cycling on the closed roads on a bright Sunday morning at their own pace and comfort. 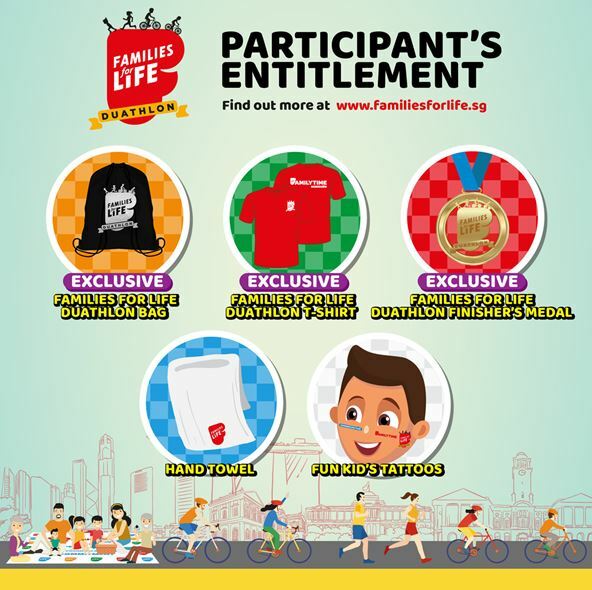 Register at $15 per pax and receive exclusive Duathlon entitlements and also stand a chance to win family staycations at Resorts World Sentosa, dining vouchers and more in the “sure-win” lucky dip! 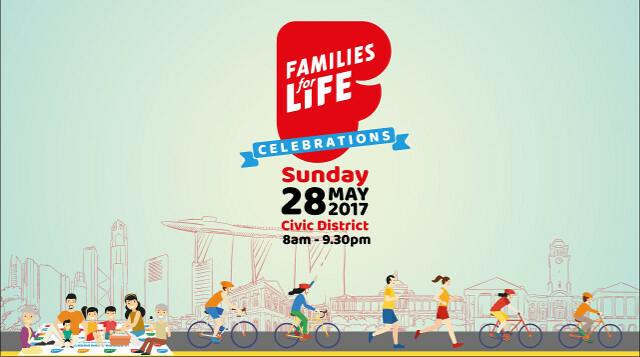 Registration will close on 12 May 2017. Free snacks and drinks offered at the signature Families for Life Mobile Café!